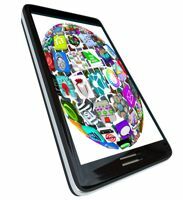 The rapidly increasing changes in mobile advertising trends continue to keep marketers looking to the latest data for innovation and ideas. According to CTIA’s semi-annual wireless service survey, approximately 90 percent of Americans currently own mobile devices, and that figure is expected to continue to rise over time. Text messaging has become the preferred method of communication today, leaving email and voice conversation in the dust. In a mobile world, SMS-enabled cell phones have become an ever-present part of daily life. According to a study by comScore MobiLens in 2010, text messaging outpaced all other mobile usage by more than a 2-to-1 margin. Because of this, advertisers continue to assert themselves into this market. An additional attraction to advertising via text message is the fact that a full 90 percent of text messages are read by the consumer within three minutes of being received. Activity can then be compared to a funnel, where messages are optimized to increase site traffic by including links to rich media, video and other marketing materials. Rich media is another emerging star in the world of mobile media marketing. If we consider the increasing use of smart phone technology, the future for this form of advertising seems bright. Experimentation with rich media formats is sure to continue as the development of technology expands the aesthetic attraction and possibilities of this format. One of the most followed battles in marketing technology is the use of mobile apps and mobile sites. Advertisers are hard-pressed to decide which format will win out in the end, and there is no clear leader between the formats. Whatever the result, it is certain that mobile usage will garner an ever-increasing share of the advertising market and advertisers will need to commit more resources to mobile marketing development. Looking for an interesting up-and-coming interactive marketing option? While Geo-Location holds less responsiveness compared to other tech choices, marketers are still encouraged to explore its possibilities to target consumers by precise geographical and demographic information within a certain time frame. According to forecasts by e-marketers, mobile video viewership in the U.S. is set to increase by 30 percent in the coming year, equivalent to a full 10 percent of mobile phone users. In addition, those numbers are expected to continue to grow through 2014. According to Cisco, mobile video will be responsible for up to 66 percent of all mobile traffic. For these reasons, marketers are sure to keep a close watch on developments in mobile video into the future. These are the big five trends that will be battling for slices of the savvy marketer’s budget. Continue to check back with Engelbrecht Advertising for more updates on the latest tech marketing trends. Let us know which tools work for you, and any pros or cons you might have found that could be useful for others!